I have been spending a lot of time on YouTube the past week and I’ve found a lot of cute videos. So, here they are! Xiah Junsu’s super cute moments!!! I love Yoochun’s reactions to Junsu on helium. Fun with members of D. Asagi being…Asagi lol. He always looks so cute! So, now that I have incinerated your brain with cuteness…you can search for more! Try the “Making Of…” videos for D…they are quite fun. So I’ve been obsessing a little over Youtube for a while. I have found a couple songs that I’m completely mad over…in a good way. I’ve listened to them over and over for hours. So, I decided to share them with you! Aren’t I so sweet??? My favorite mix of SPiCa, feat. Chibita. I just found this artist this past week. Meisa Kuroki. I love the album Attitude. Utada Hikaru is good for any mood! Vampire Saga was released in January, but I just got it and I really wanted to share it with everyone! I’d give this album a straight 10 out of 10! Once again…EPIC! Visual Kei started in the late 80’s, but grew very popular in the 90’s and has stayed a very popular genre. The following bands are certainly not the only ones. These are just a few of my favorites. Malice Mizer – This band went through a lot in their time. They have three eras, which are distinguished by three different singers. The sound changed with each one. A very popular singer, Gackt, was one of them; his era was the longest and most popular. I’ll post two videos for this band since the style is different with each era; the first is Gackt and the second is Klaha. 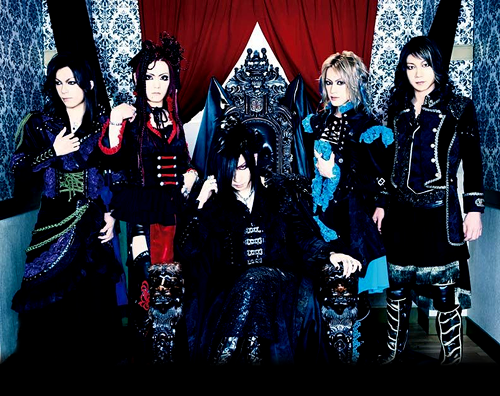 The Gazette – Formed in 2002, this band has had quite a few songs featured in anime. 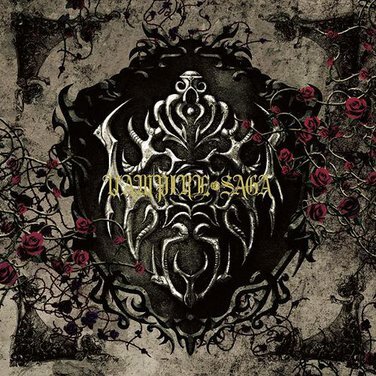 Phantasmagoria – This band is probably my favorite. Their music is so addictive. They took a couple years off, but they did release an album last year. D – I love this band! The lead singer, Asagi, has a very unique voice. I love their style, too. Versailles – This is a fairly new band, but I love the drama in their music. It’s almost like vampire meets Phantom of the Opera. Some other Visual Kei bands to look for: Nightmare, Parfait, An Cafe (also called Antic Cafe and Antique Cafe), D’espairs Ray, and Alice Nine. This is just because I felt like putting in another video. This is An Cafe – Cherry SakuYuuki. So, after watching a Korean drama, I suddenly became obsessed with K-Pop. Right now I’m really loving some of these pop/dance songs. I really wanted to share them with you all. JYJ – I’m really loving Park Yoo Chun. His voice is amazing. My favorite songs are “Ayyy Girl” and “Empty,” and “Be My Girl.” Their songs just make me want to dance…though that would be bad since I am a horrible dancer (*points at self* nerdy white girl). MBLAQ – Listening to them right now! The first song I heard was “Y” and it quickly became set on repeat. Lol. Some other songs I’ve been listening to are: “Fight the Bad Feeling” by T-Max, “Eat You Up” by BoA, and “What Should I Do” by Jisun. I decided to post more music since I’ve only got the one post. NOTE: This top 10 is only based on my opinion of the anime that I’ve seen so far. It’s by no means representative of ALL anime. These are also based on whether I felt they matched well with the anime or not. There are some songs I feel are chosen simply because it’s a popular song; it doesn’t match the anime well at all. If there’s some you think I’d like or are your favorites, please feel free to comment…I love discovering new music! Enjoy. 1. I can’t mention anime openings and not mention this song. It’s probably one of the most famous openings for all anime. The opening for Ghost in the Shell: S.A.C., Inner Universe (vocals by Origa). I think most people would agree that this opening is perfect for the anime. 2. This is one of my favorite songs. The first anime I ever watched was InuYasha and this is the first Japanese song I ever heard. Every Heart by BoA is the 4th ending song for InuYasha. The lyrics really do correspond to the anime well. 3. I think this video (though it has nothing to do with anime) is one of the most awesome PVs ever! Maximum the Hormone – Zetsubou Billy is the 2nd ending song for Death Note. 4. ClariS – Irony is the opening for Ore no Imouto. This song is so fun, just like the anime. It fits so perfectly. 5. This song is from the movie Origins: Spirits of the Past. Kokia has two songs in this movie (opening and ending), but the first, Chouwa Oto I think fits the anime so well. It’s so beautiful and it has some sad dramatic moments, which go well with the anime’s world. 6. Futatsu no Kodou to Akai Tsumi is the opening song for Vampire Knight by ON/OFF. It’s completely addictive. 7. The first part of season one of Black Butler is more fun than the rest of the series. So, the ending should be fun, too, right? It is. I’m Alive by Becca is also one of my favorite songs as well as in my top 10 of openings/endings. 8. Howling by Abingdon Boys School is the opening for Darker than Black. This song is sooo good. 9. Shell by Bana is the opening for Witch Hunter Robin. It’s so sad, but it fits so well with the story. 10. This one is only at the bottom of the list because at first I didn’t like it, but now I’m really loving it. Orange Range – Asterisk is the first opening for Bleach.